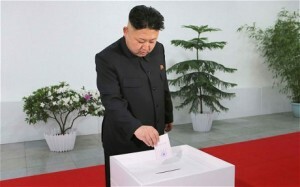 Kim Jong-un casts his vote. North Korea’s state media has confirmed what was never in doubt – a 100 percent, no-abstention poll victory for leader Kim Jong-Un in the country’s stage-managed parliamentary election. Every single vote cast on Sunday in Kim’s constituency was for the man who can now add MP to his many titles that include Supreme Commander of the armed forces and chairman of the powerful National Defence Commission. “All the voters of the constituency took part in voting and 100 percent of them voted for Kim Jong-Un,” the North’s official KCNA news agency said. “This is an expression of … people’s absolute support and profound trust in supreme leader Kim Jong-Un as they single-mindedly remain loyal to him, holding him in high esteem,” it said. Each of the nearly 700 constituencies had only one state-sanctioned candidate, ensuring a foregone conclusion in every case. Voting was mandatory and state media said all registered voters across the country – except for those based overseas – took part. Elections to the Supreme People’s Assembly (SPA) are held every five years, and this was the first under Kim’s leadership. He took over the reins of power on the death of his father, Kim Jong-Il, in December 2011. Kim stood as an uncontested candidate in constituency number 111, Mount Paektu. Koreans have traditionally attributed divine status to Mount Paektu and, according to the North’s official propaganda, Kim Jong-Il was born on its slopes. The KCNA report hailed Kim as the worthy successor to his father and his grandfather – North Korea’s founder leader – Kim Il-Sung, saying he had “remarkably increased the defense power” of the nation. The SPA only meets once or twice a year, mostly for a day-long session, to rubber-stamp budgets or other decisions made by the powerful ruling Workers’ Party. More than 2,600 people remain missing in Japan three years after the nation was hit by a major earthquake, tsunami and nuclear disaster, according to the latest police figures. Search operations continue across swathes of the northeast coastline, where the majority of lives lost in the March 11, 2011, disaster were those swept away by the tsunami. The figures came to light as Japan prepared to commemorate on Tuesday the third anniversary of the disaster – the nation’s worst peacetime loss of life, claiming 15,884 lives. In addition, 2,636 remain officially missing, mostly in the three worst hit prefectures Miyagi, Iwate and Fukushima. The remains of 98 people are also unidentified, according to the latest figures from the National Police Agency. Three years after the disaster, life in many disaster-hit communities appears, on the surface at least, to have tentatively returned to normal, with much of the rubble cleared away and businesses reopened. However, the challenges facing bereaved relatives of those whose bodies have never been found remain complex, with many determined to find their loved ones in order to finally lay them to rest. A correct map of the Middle East. The US Department of Homeland Security spends $425,000 annually on a pre-clearance customs facility for Etihad Airways, a partner of American Airlines, at Abu Dhabi International Airport. But the carrier, owned by the United Arab Emirates, has an official travel-route map that shows all surrounding countries, including Jordan, Iraq, Egypt, Syria, Lebanon and Cyprus – but not the Jewish state or its major cities. Justin Ross Lee, a Jewish travel expert from Manhattan, fumed that taxpayer money is supporting an airline that discriminates. “As a frequent flier who holds both US and Israeli passports, I would sooner donate my miles to Hezbollah than travel on Etihad Airways,” said Lee, 30, referring to the terror group. Last May, US senators blasted then-DHS Secretary Janet Napolitano for funding the facility. They noted Etihad would be the only carrier to benefit from the facility, which opened in January and handles fewer than 1,000 travelers a day. “We question whether the department is choosing pre-clearance locations based on risk or based on a pay-to-play process,” the 11 senators wrote to Napolitano. An American Airlines and Etihad rep didn’t respond to requests for comment. The UAE is one of the 34 countries with no diplomatic relations with Israel. b) How were observers able to predict that every candidate running would win their race, win it with 100% of the vote and that 100% of eligible voters would take part in the election? c) In comparison, what percent of the U.S. voting-eligible population actually cast a ballot in the 2012 presidential election? 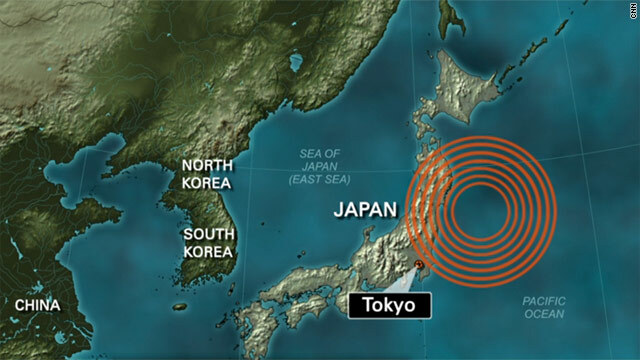 b) How many people died in Japan’s 2011 tsunami? c) How many people were never found/remain “missing”? d) Three years later, how often do Japanese authorities look for the missing? b) What do U.S. taxpayers fund for UAE residents (whose wealthy government could pay the bill themselves) but for no other country? Be specific. c) Why should or shouldn’t the UAE should get this special privilege? d) In addition to refusing to even acknowledge Israel’s existence (a fellow member-state of the United Nations), how else does the UAE discriminate against Jewish people? Is the State Department’s response reasonable? Explain your answer. Singing and dancing in what state media hailed as “billows of emotion and happiness,” North Koreans “voted” in elections over the weekend for their country’s parliament. There was only one approved candidate running for each of the 687 districts. Kim Jong-un, the country’s Supreme Leader, ras as a candidate for the Mount Pektu constituency, a mountain that has divine status because his father Kim Jong-il is said to have been born on its slopes. “Through this election we will fully display the might of the single-hearted unity of our army and people who are firmly united behind our respected marshal,” said Hyon Byong Chol, the chairman of a preparatory committee for one of the electoral subdistricts. At every polling station, any voter who did not wish to cast a ballot in favor of the ruling Workers’ Party had to enter a separate booth. The absence of the secret ballot principle suggested that few would take the risk of not voting for the incumbents. The Rodong Sinmun – mouthpiece of the Workers’ Party – said the election would promote North Korea as a “dignified, prosperous and strong socialist powerhouse”. Television footage showed hundreds of soldiers queuing up at a polling station in constituency number 111 and dancing in unison on the street to festive music. Portraits of Jong-il and Kim Il-sung – Mr. Kim’s late grandfather and the nation’s founding president – were hung on the wall behind the ballot box. Soldiers deeply bowed to the portraits after casting their votes. Elections are normally held every five years to the Supreme People’s Assembly, which only meets once or twice a year, mostly for a daylong session, to rubber-stamp budgets or other decisions made by the ruling Workers’ Party. The vote also serves as a census for the authorities. The real interest for outside observers is the final list of candidates. Many top Korean officials are members of the parliament, and the election is an opportunity to see if any established names are absent. “It’s a chance to see who might be tagged for key roles under Kim Jong-un,” said professor Yang Moo-jin, of the University for North Korean Studies. The election is the first since Mr. Kim took power in the reclusive state, following the death of his father in December 2011. Last month a UN report documented horrific human rights abuses in North Korea, likening the regime to that of Nazi Germany. 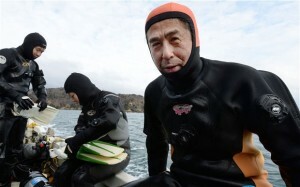 Among those determined not to give up is Yasuo Takamatsu, 57, from the small fishing town of Onagawa, Miyagi prefecture, whose wife Yuko disappeared in the tsunami. The bus driver recently took the unusual step of learning how to scuba dive in order to take to the chilly waters of the Pacific Ocean and search the seabed for signs of his still-missing wife himself. Mrs. Takamatsu, then 47, a bank worker, was one of 250 people who are still missing from the town, which was hit badly by the disaster, with more than 800 people swept to their deaths by the 65-foot tsunami. Mr. Takamatsu described how the last text message he received from his wife shortly after the earthquake said simply “I want to go home”, while another unsent message later found on her discovered mobile phone, was found to read “Tsunami huge”. Etihad Airways is expanding rapidly and has bought minor shares in several smaller carriers around the world as it competes with larger Gulf rivals Emirates and Qatar Airways. It owns 19.9 per cent of Virgin Australia, 29 per cent of Air Berlin, 40 per cent of Air Seychelles and three per cent of Aer Lingus. It also owns a 24 per cent stake in India’s Jet Airways, and 33.3 per cent in the Swiss carrier Etihad Regional. The relative political and financial influence of each emirate is reflected in the allocation of positions in the federal government. The ruler of Abu Dhabi, whose emirate is the U.A.E.’s major oil producer, is president of the UAE. The ruler of Dubai, which is the UAE’s commercial center, is vice president and prime minister. The UAE has no political parties. The rulers hold power on the basis of their dynastic position and their legitimacy in a system of tribal consensus.